Reading before bed is a favorite pastime of many parents with younger children. The activity has several advantages for putting young ones in the right state of mind for sleep: it’s quiet, relaxing, and takes away bright screens that can mess with circadian rhythms. In a recent study, researchers at New York University (NYU) School of Medicine also found another benefit of the activity. 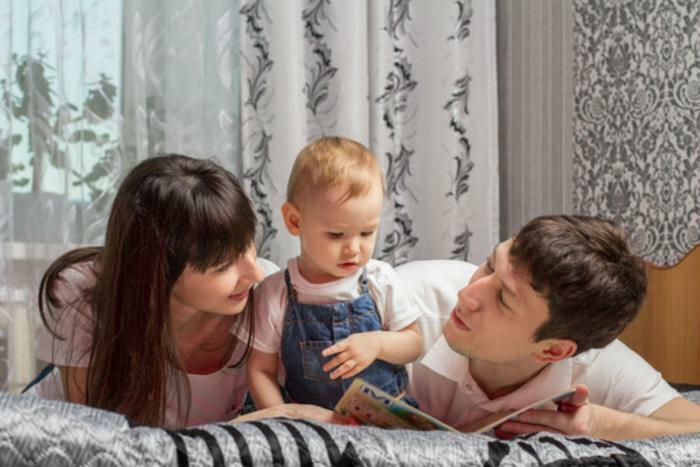 They say that parents who read to young children before bed help build a positive association with books and develops early literacy skills, which can help out down the road when they’re beginning elementary school. “These findings are exciting because they suggest that reading to young children, beginning even in early infancy, has a lasting effect on language, literacy, and early reading skills. . . What they’re learning when you read with them as infants still has an effect four years later when they’re about to begin elementary school,” said lead author Dr. Carolyn Cates. For the purposes of the study, researchers recruited over 250 mother-baby pairs from a newborn nursery at an urban public hospital. Participants were asked to monitor how well their growing baby understood new words over a 54-month period and then cross-referenced that data with the number of books in the home and how many days per week parents read with their children. Quality of shared book-reading was also measured by whether parents had conversations with their children while reading and if the books and stories were age-appropriate. After adjusting for socioeconomic differences, the researchers found that reading quality and the amount of shared book-reading in a child’s early years predicted how expansive their vocabulary was four years later. Cates said that reading quality was found to be closely linked to early reading skills and literacy at age four. “Findings suggest shared reading, beginning early in infancy and in toddlerhood are critical for key language and literacy outcomes as much as four years later. Findings strongly support preventive programs in pediatric primary care aiming to enhance early shared reading,” the abstract concludes. The researchers plan to present their findings in full at the 2017 Pediatric Academic Societies Meeting, which takes place on May 8 in San Francisco.